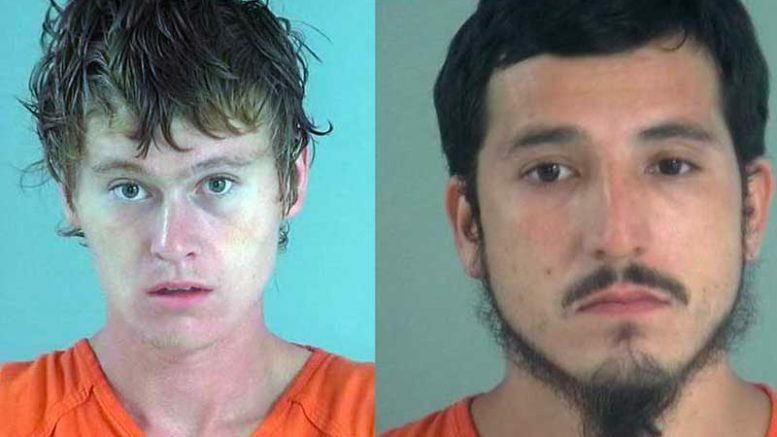 Contributed Photo/Courtesy GCSO: Thomas Phillips, left, and Christopher Jurado were booked into the jail for theft of a Children's Miracle Network donation kiosk from Walmart. Phillips allegedly said the pair stole the donation money to purchase heroin. SAFFORD – Anyone who has been in the throes of heroin addiction knows the desperation one has when searching for the relief of the opiate. It causes many people to do normally unthinkable things, and, in this case, to steal from a store donation bin that was intended to help children’s medical needs. Contributed Photo/Courtesy GCSO: Thomas Phillips was booked into the jail on charges of burglary in the third degree, criminal damage and possession of drug paraphernalia. On Sept. 14, officers were dispatched at about 10:48 a.m. to Walmart at 755 S. 20th Ave. in regard to the theft of a donation kiosk of the Children’s Miracle Network. The Children’s Miracle Network is a nonprofit organization founded in 1983 partially by the Osmond family to raise funds for children’s hospitals, medical research and to raise community awareness of children’s health issues. Surveillance footage from the store show two men engage in removing the kiosk from the store and place it into the bed of a Chevrolet pickup truck and flee from the area. Officers identified the two men from the surveillance video as Thomas Phillips, 20, and Christopher Jurado, 27. Shortly thereafter, authorities located what they believed to be the suspects’ truck parked in front of a house at 430 W. 23rd St. Phillips and Jurado were located at the residence and taken into custody. 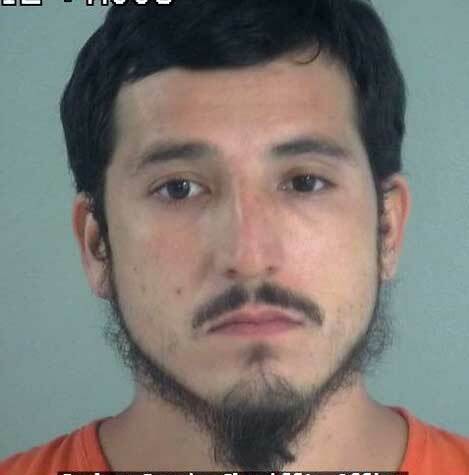 According to a Safford Police report, Phillips admitted to the burglary and said he was a heroin addict and needed “a fix.” When he saw the donation kiosk with the money (later reported to be $73) he decided to take it and said Jurado helped by pushing a shopping cart to him. Phillips then lifted the kiosk into the cart and made his way out the front exit to their truck and their getaway. Contributed Photo/Courtesy GCSO: Christopher Jurado was booked into the jail on charges of shoplifting and possession of drug paraphernalia. He said the pair went to a desert area near Glenn Meadows Park off 14th Avenue and that he used a rock to break open the kiosk and retrieve the money. The pair then went and purchased “a dub” of heroin ($20 worth) and proceeded to smoke the drug at the residence they were located. 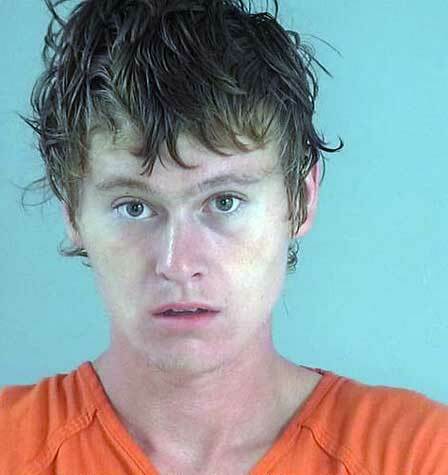 Phillips said they had just finished smoking the heroin when the police arrived. A backpack with roughly $53 in change was located in a bedroom, along with drug paraphernalia that each suspect said belonged to the other. A piece of burned tin foil that Phillips said the pair had used to smoke the heroin was also found in the area. Jurado’s version of events varied each time he retold it, according to the report, and he denied being involved despite the video surveillance and other evidence to the contrary. Jurado also denied using heroin and said he only smokes weed. Phillips led police to the desert area where he stated he broke open the kiosk, and the container was found roughly 40 feet east of 29th Place in some mesquite trees. Phillips once-again reiterated that he broke the container with a rock and that Jurado put the money into the backpack where it was later found. The officer noted two separate sets of shoe prints where the container was found. Phillips was then booked into the Graham County Jail on charges of burglary in the third degree, criminal damage and possession of drug paraphernalia. Jurado was also taken to jail and booked on charges of shoplifting and possession of drug paraphernalia.